Over the last year I’ve done a lot of hand quilting, which means I’ve formed a pretty deep and intimate trust relationship with my hand quilting needles. People tell you that you should choose your friends wisely, and surround yourself with supportive, sharp people who can move easily through fabric (that’s what I’ve heard, at least). The same goes for the needles you use! These babies have an important job to do, so you want to make sure you’re orchestrating a team of the very best hand quilting needles. But if you’re like me, and you get paralyzed by all the choices out there and don’t know where to start, don’t worry! I can help! I’ve waded through width, length, height and sharpness, so you can skip the hours of anxiety therapy (I’ve done that for you already, too!) and let me walk you through it. 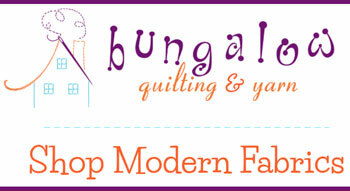 Check out all of my favorite quilting notions! 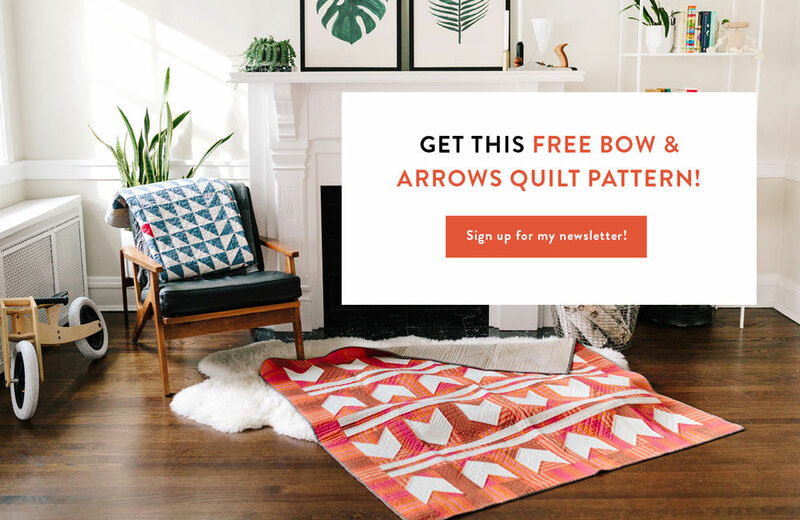 The above quilt is the Fly Away pattern. Download it here! First things first. 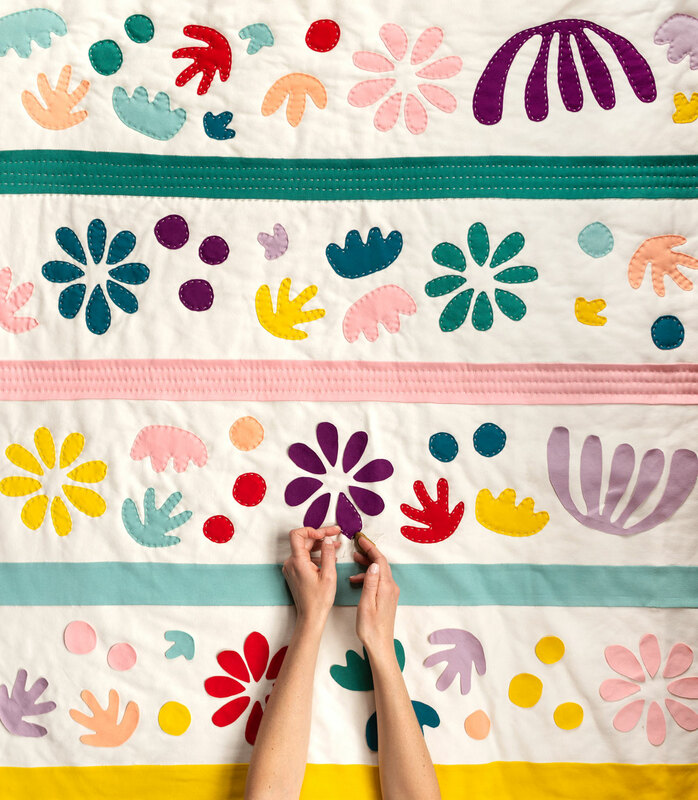 Let’s talk about what hand quilting needles actually do. And what hand quilting is. Just to make sure we’re all on the same page. 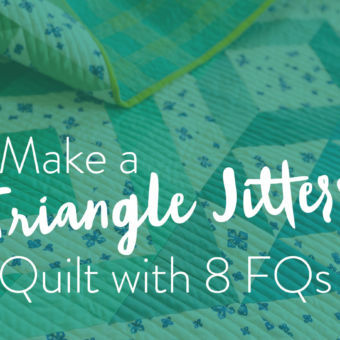 Hand quilting, at its core, means sewing running stitches through your quilt sandwich (the quilt top, batting, and backing fabric) with a needle in your hand. 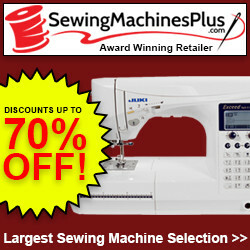 I know that seems obvious, but it’s also kind of awesome, and kind of a big job for you and your little needle friend. 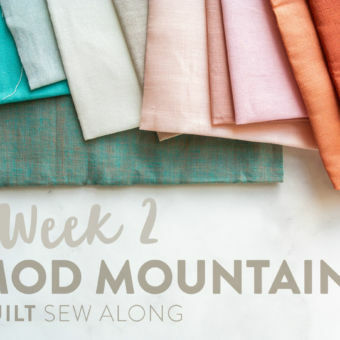 Depending on the fabric and batting you choose for your quilt, it can be a long, tough trip from quilt top to backing and back. That’s why there are so many different options for the length and thickness of hand quilting needles! Below you can see that I combined machine quilting with hand quilting. 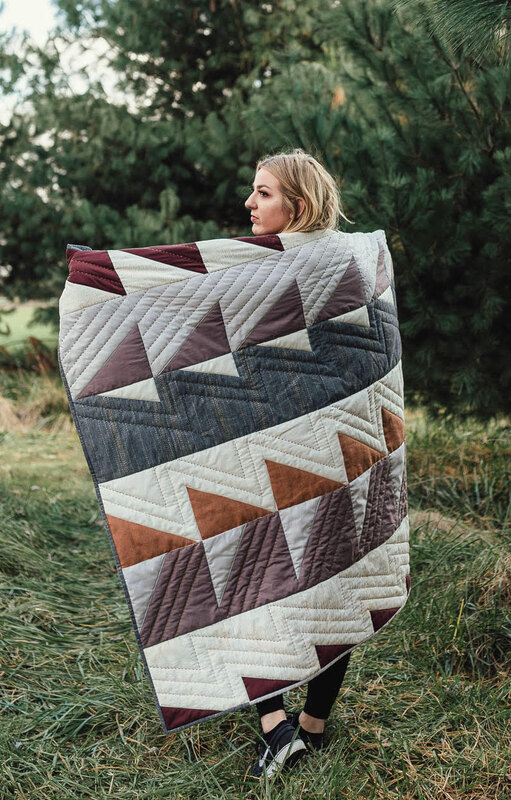 The above quilt is the Hexie Stripe pattern. Download it here! Needles have a serious case of Benjamin Button syndrome – they get smaller as they get older. And by older I mean, as the numbers get higher. I think I just made this more confusing...what I mean is – the smaller the number the larger the needle. The larger the number the smaller the needle. 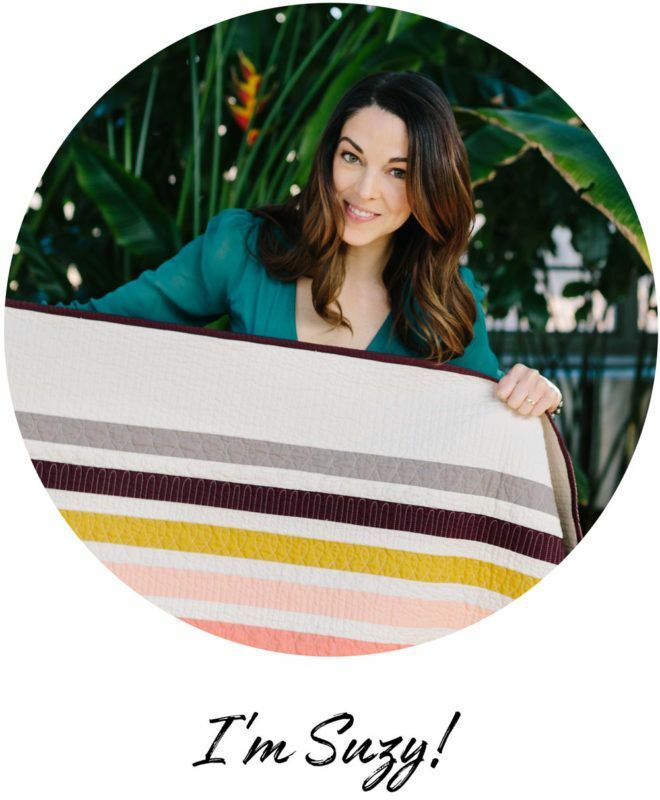 The above quilt is the Bohemian Garden pattern and will be available May 17, 2018. 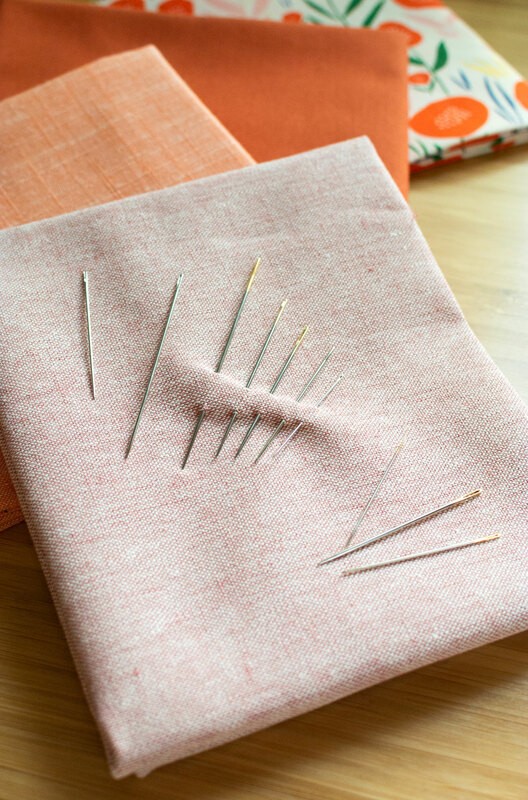 The needle that most people are talking about when they’re talking about traditional hand quilting is nicknamed a “Between.” This is a sharp, short and narrow needle with a small, rounded eye. These little babies pack a punch because they’re short, easy to control, and they can help you make super small, accurate stitches – quickly. 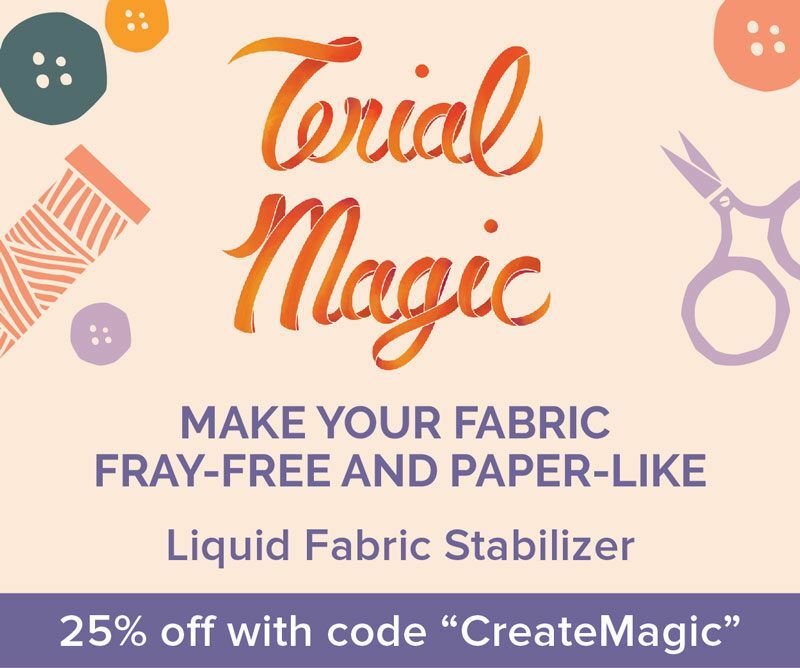 I want to emphasize that these are preferred by traditional quilters who are using traditional quilting thread, which is much thinner than the Pearl Cotton No. 8 that I have grown to love. When using these needles for hand quilting, you should pair it with thin, possibly waxed, thread, such as this. Sizes: 3-12 If you’re a first-timer, go for an 8 or 9, and work your way up to smaller needles once you get the swing of things! 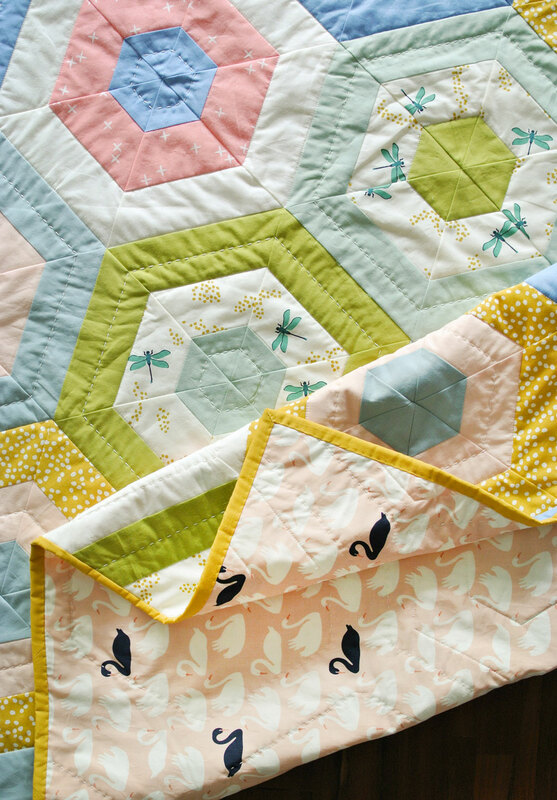 The above quilt is the Bayside pattern. Download it here! It's my philosophy that if I'm going to spend the time hand quilting a quilt, I want people to see those stitches from a mile away...or at least 10 feet away. 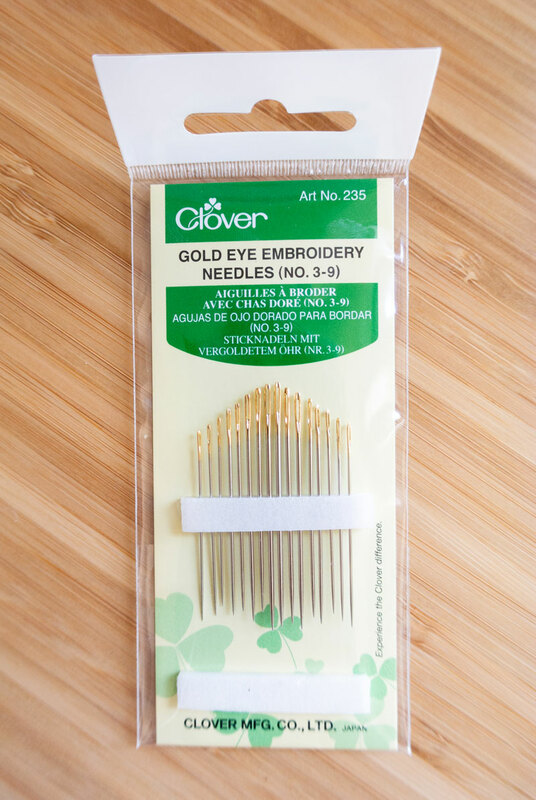 That's why I opt for yarn-like Pearl Cotton Thread #8 and a pack of Gold Eye Embroidery Needles. The big eyes and sharp points are great for dragging thick thread (and even embroidery floss) through the quilt layers, and the needles are strong enough that they won’t get bent in the process. 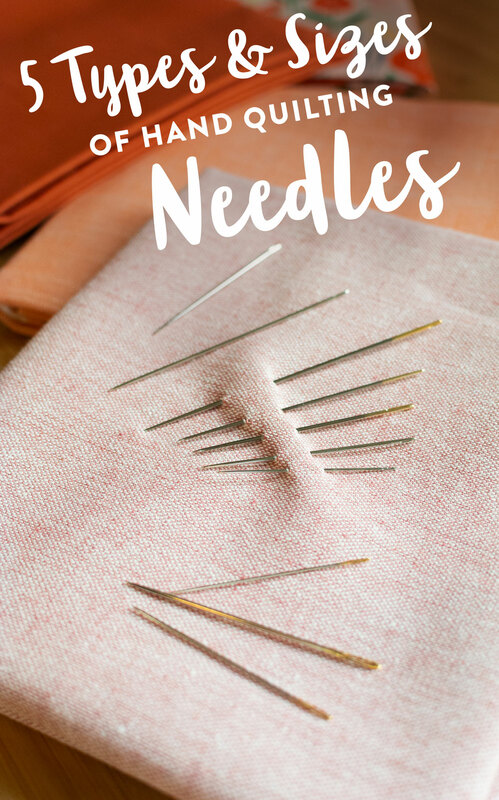 Pair these needles with a needle threader and now you're cookin' with gas! Sizes: 1 - 12 I like to hover around 3- 6 based on the type of batting I am using. With a puffier batting, I'll use a larger needle. 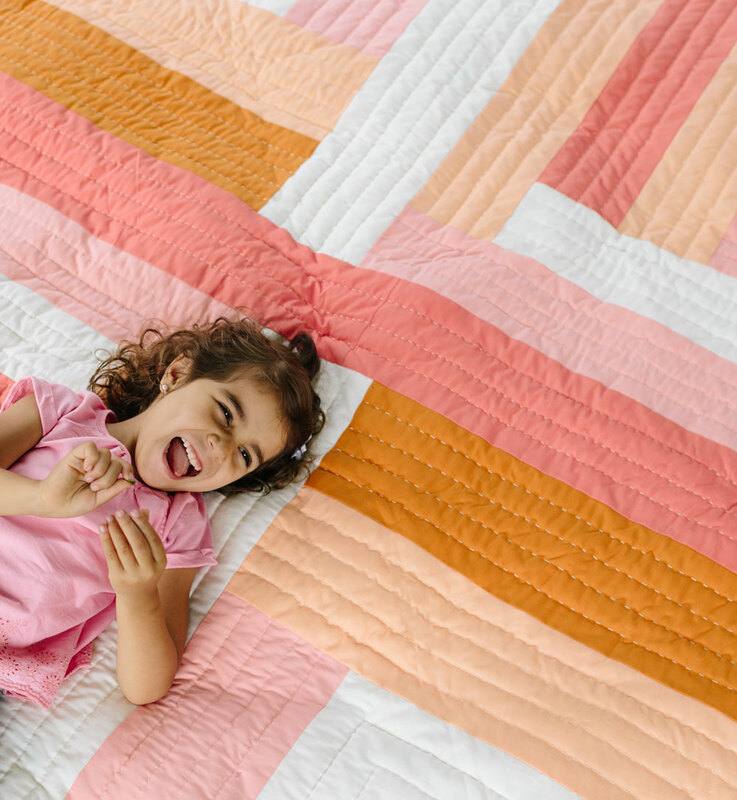 The above quilt is the Maypole pattern. Download it here! 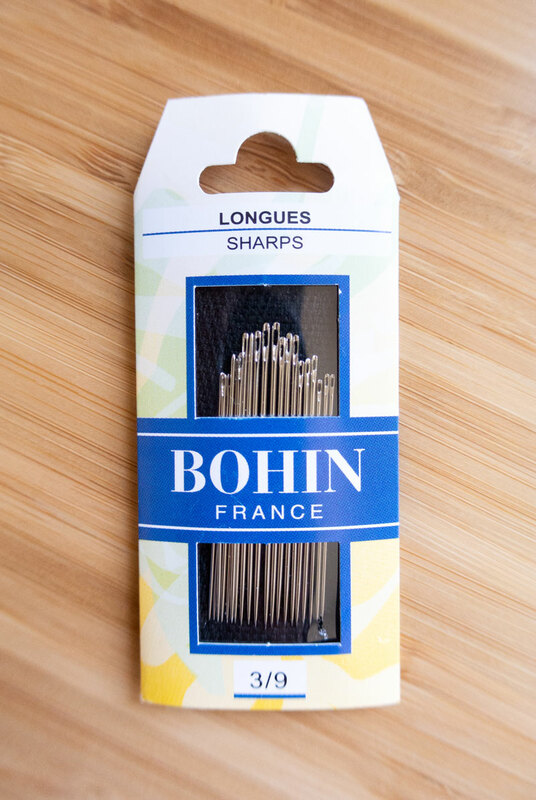 Sharps are your basic run-of-the-mill (not to be confused with Milliners) needles. They are very similar to Quilting Needles, just a skosh longer. 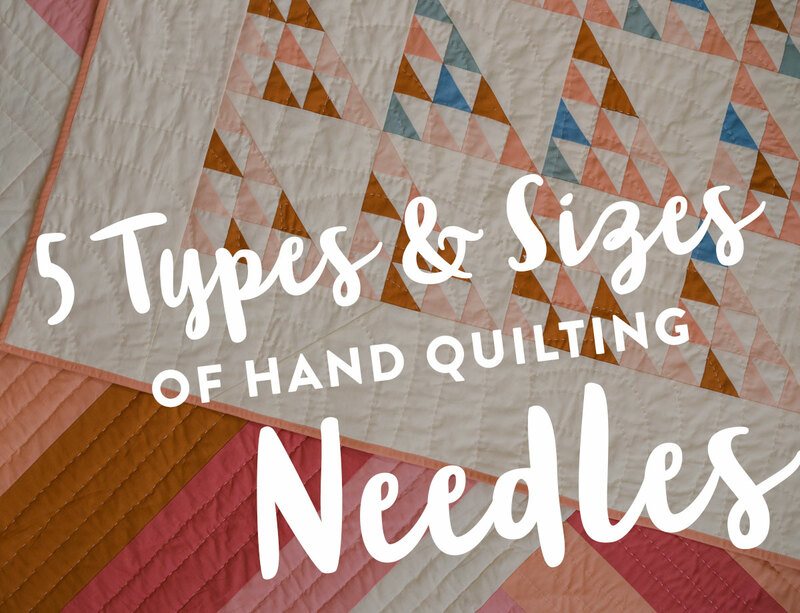 Sharps can easily be switched out for traditional Quilting Needles, and in most cases I would guess that unless you are seeing them side by side, you won't be able to tell the difference. Sizes: 1-12 Although sizes 16-18 exist, they are huge (going against the rules of Benjamin Button law) and you won't be using them with fabric thinner than carpet. They're called Carpet Sharps. Milliner or Straw Needles are long, round-eyed needles that were designed for the purpose of hat making. These are very similar to Sharps, but longer. A good way to remember that is to think of fancy hat pin – it must be very sharp and long to keep those bedazzled feathers in place. 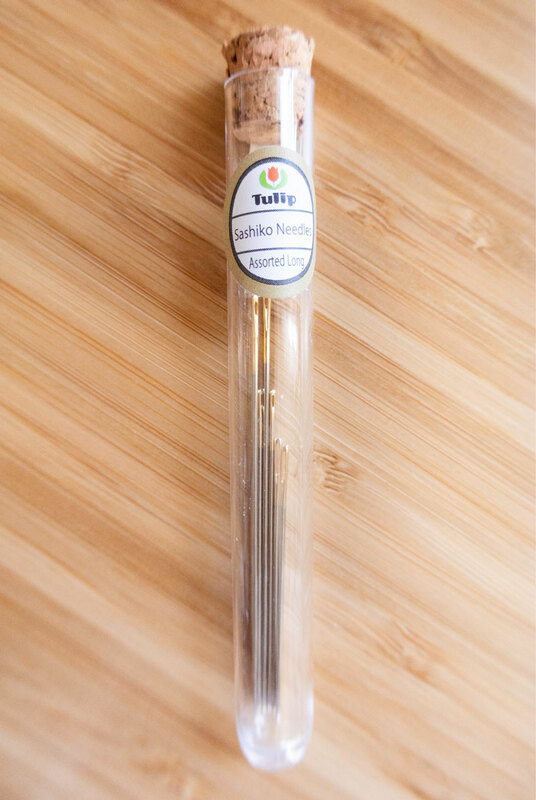 Sashiko needles hail from Japan, and were traditionally used for Sashiko embroidery, a practice that is equal parts peaceful meditation and fabulously elegant. Sizes: Currently unsure how these are sizes. From what I can gather, they are just called long or short? Do you know? Eventually, you will need to say goodbye to your beloved needle. We open our hearts to love and it makes the saying goodbye so hard! But, sadly, needles do get dull, and there will come a time when you need to replace your precious. Just like my eye doctor is always telling me to replace my contacts even though they are so dang expensive! Just do it. Get a new, sharp needle. It’s worth it. 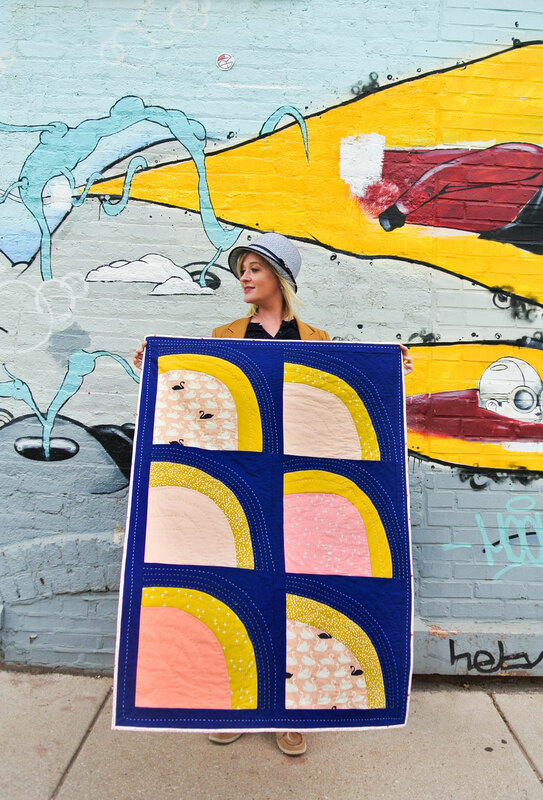 Your quilt is worth it. You’ll learn to love again. Pop Quiz Answer: If you said #3, you're correct! 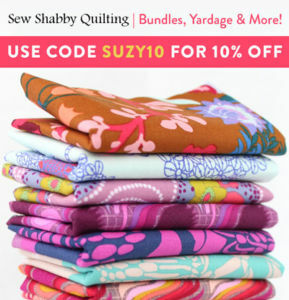 The above quilt is the Over the Hills pattern and is a free download when you join the Suzy Quilts Patterns Facebook group. 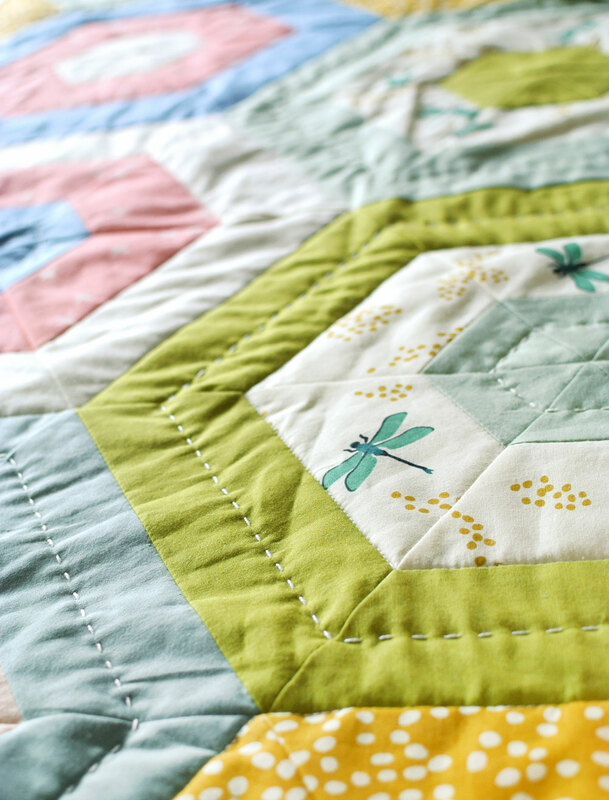 Should You Prewash Fabric Before Quilting? Having friends that move easily through fabric is requirement #1 for me. Great post! 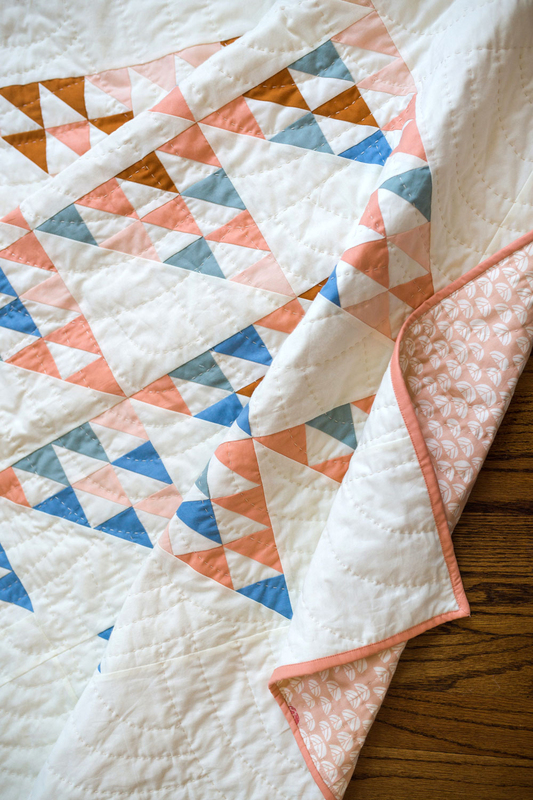 You’re slowly convincing this ultra-lazy quilter to give hand quilting a shot! Wow, it’s like the Wikipedia of needles!! Great information but really wish it would have been printer friendly format. Finally had time to sit and read this whooooooole post. Thanks for the helpful information! I look forward to trying out some of your tips. I was on hour 3 of this sort of research and gave up and probably have one of every type of needle scattered through various project bags, boxes and drawers lol! 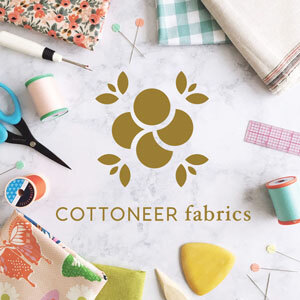 I’m so glad this simplified things for me and where do you buy your pearl cotton thread? I only ever see 3 colors available at my local Joanns or Michaels, it’s frustrating. 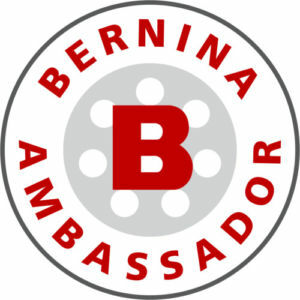 I typically buy it from Herrschners – great price and amazing selection. Great column full of very helpful info. I have often wondered what the sizes were for but never asked anyone, just bought a mixture. Now I know what I need to use! Thanks to your encouragement! I have started adding a bit of hand quilting along with the machine quilting. The first one took a while, but it was so very relaxing! I was sorry when it was finished. 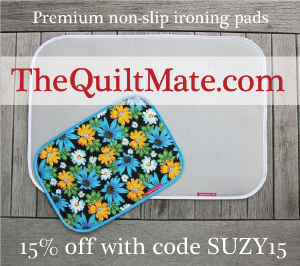 I’m working on my Rocksteady now doing the same thing – mixing machine and hand quilting. Can’t wait to show you! I love your blog. Keep up the great job you do. 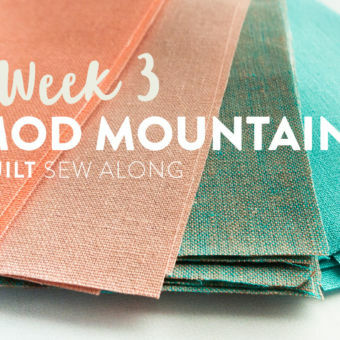 Quick question, do you use a hoop when you hand quilt? If so, what size? Thank you! I don’t usually use a hoop, but on the rare occasions that I do, I have a 14″ one. Thanks for the info on needles. I just read some about using straw needles for binding. Have you tried them? 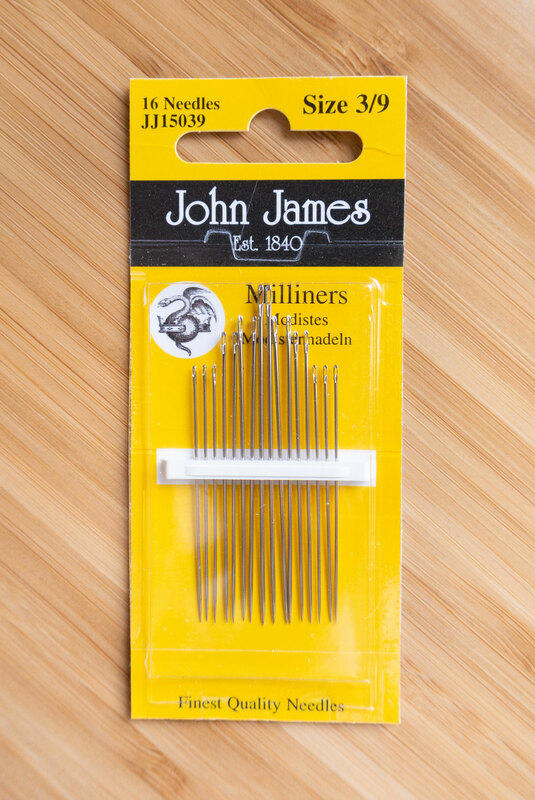 Straw needles are just another name for Milliners needles. I don’t use them, personally, cause they are too long for binding. I think you’ll be happier with basic Sharps or Betweens. Question — what about needle disposal? Shouldn’t we have a special way to throw them out? After all they are still sharp enough to cause injuries. 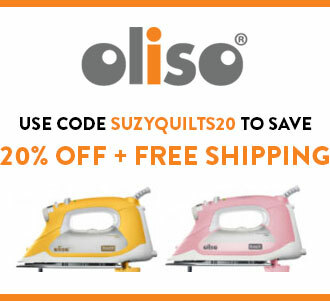 Do you recommend waxing the pearl cotton 8 for hand quilting? You can, but I haven’t found it necessary. I need a very long needle for international quilting stitch. Which should I purchase. 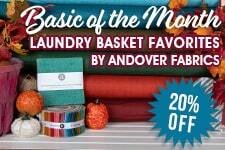 Sashiko needles would probably work best for you. Tulip makes really nice sashiko needles. 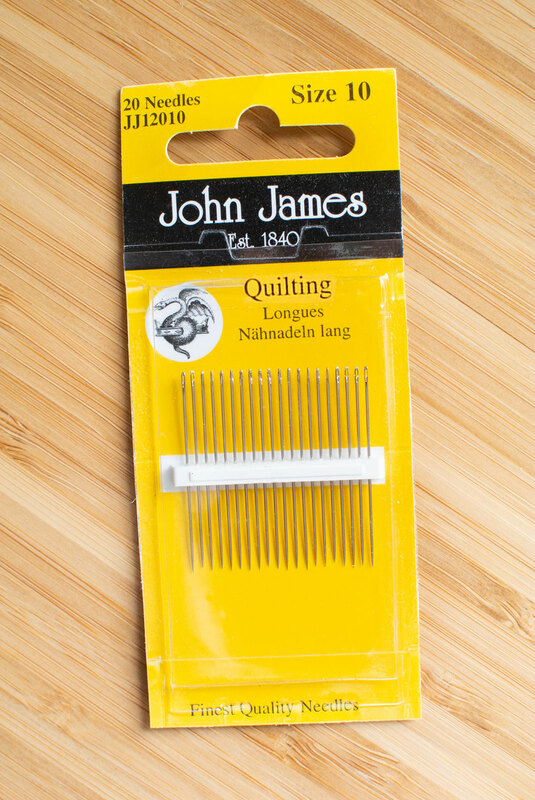 In Pennsylvania I used S.THOMAS & SONS hand quilting needles but can’t seem to find them anywhere…Can you help me? I’m now using John James Big Eye Size 10 but I don’t find them as strong. I bend them pretty fast.